From: New York, Paris, Hamilton? Outstanding! Yes, I do remember those. 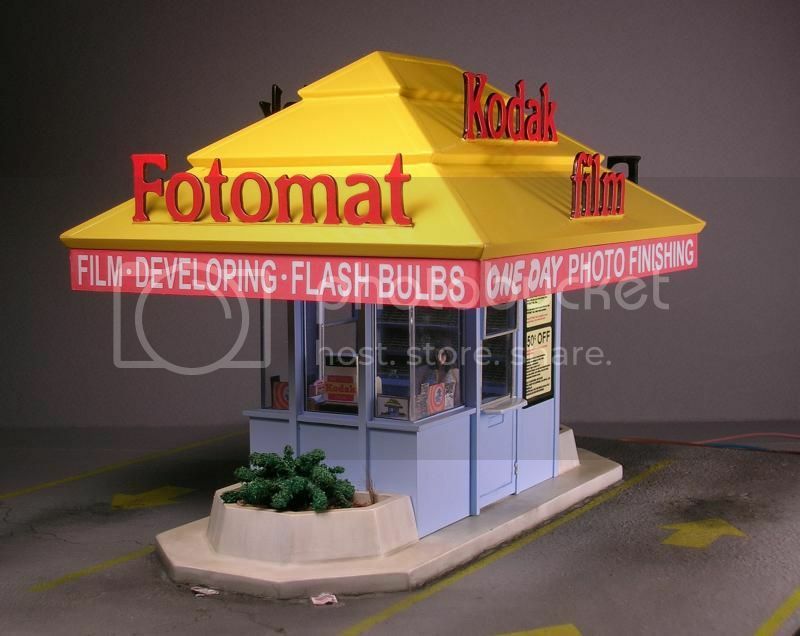 And flash bulbs, too. Very cool project. I agree , Awsome , simply Awsome. ..."Say cheese" Very impressive workmanship. 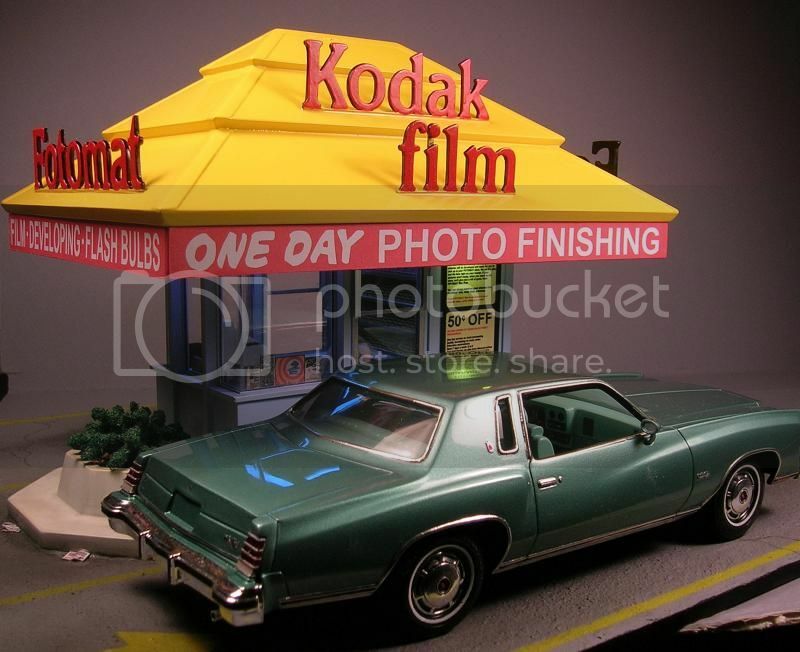 I too remember these in store parking lots. 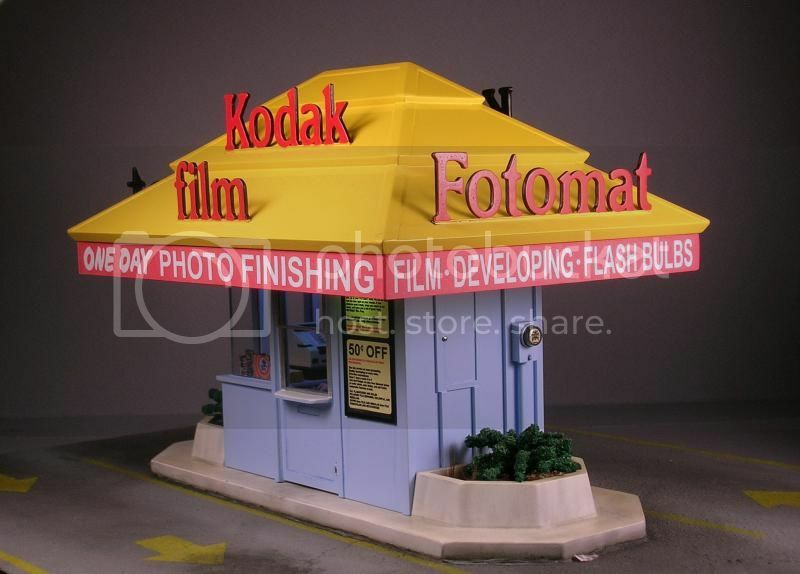 This is the first that I've seen one in 1:25 scale. Great job on this! 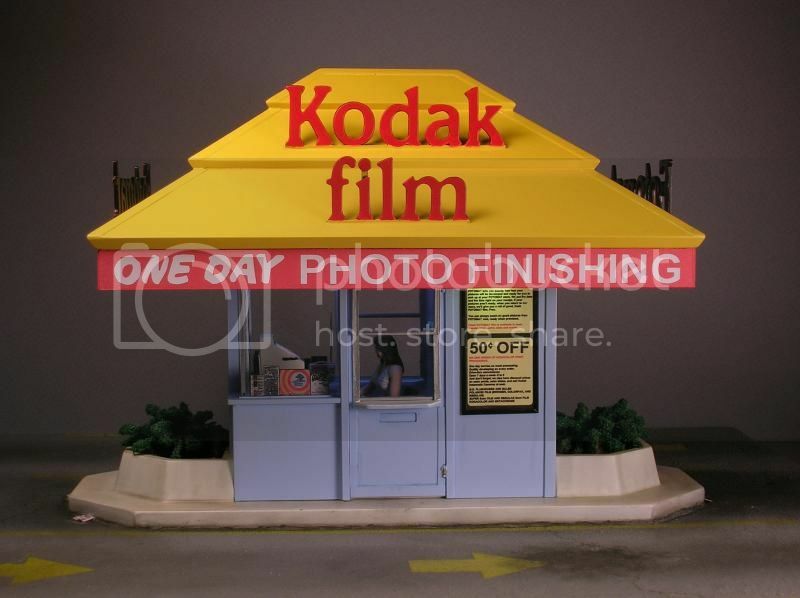 I also remember these, it was either this booth or the local pharmacy for getting your pictures when I was younger. Yep , looks just as I remember. Super nice job. Really well detailed. Great job!. 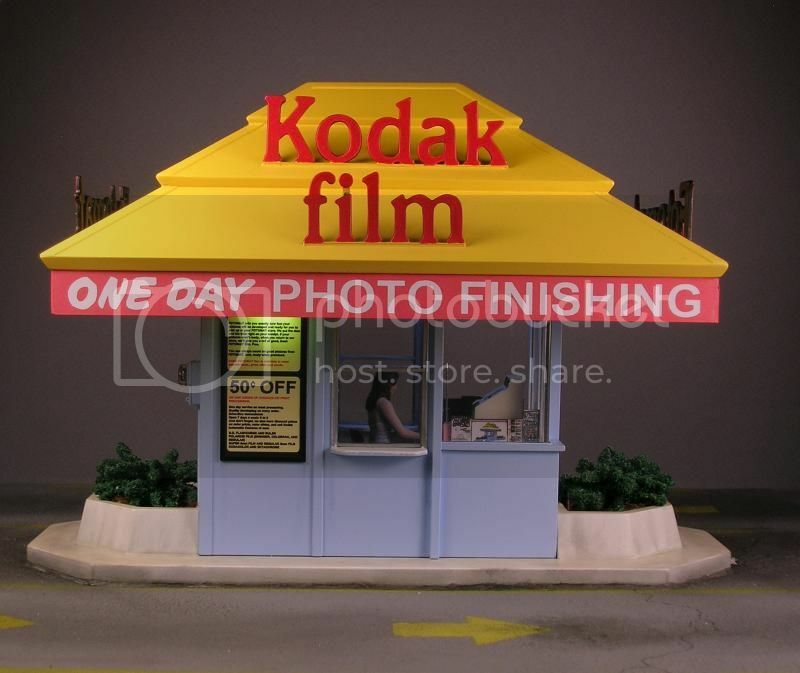 We still have one of these kiosks in our town, only it is a key place instead of a photo booth. Thank you,now I feel REALLY old! don;t throw that away,i can use it! love that montecarlo what hubcaps are you useing ?? Wheel covers are scratchbuilt. I started with a 1973 Cadillac Wheel cover. 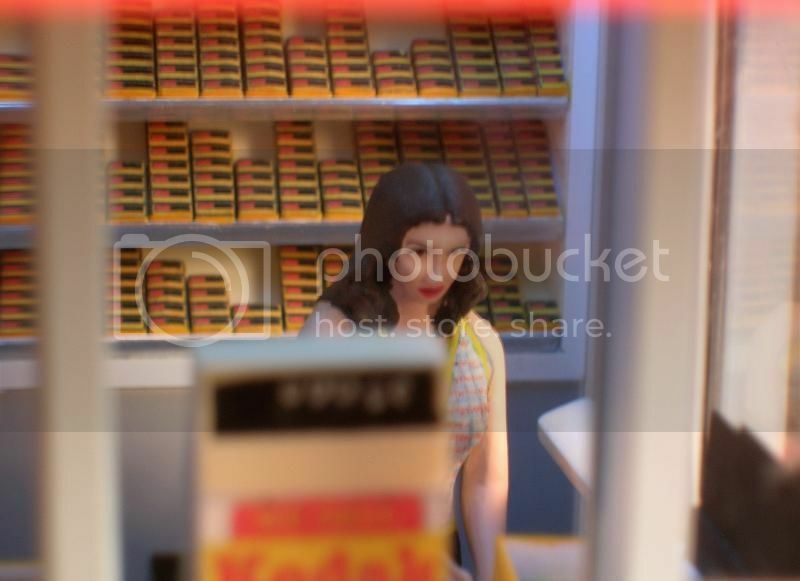 This is one of those dioramas that you have to look at numerous times to notice all the little fine details. You could write a book on the WIP to this diorama. 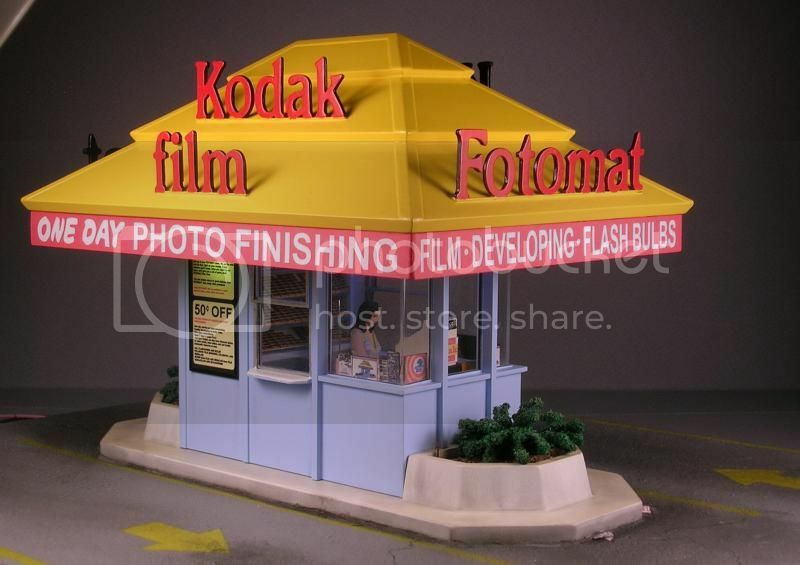 Are you planning on any future diorama builds? I know this post is four years old . I also know why I couldn't see it the first time . I would like a re-post if possible with photos I can see , Hmmm ? This site has the pics. Photobucket ate mine. Hope you enjoy them. Very impressive work! This brings back a lot of memories. The Monte Carlo looks excellent as well and is a great addition to the scene. Fantastic! When were these first produced, because we could do with having these now, and were there any others available?